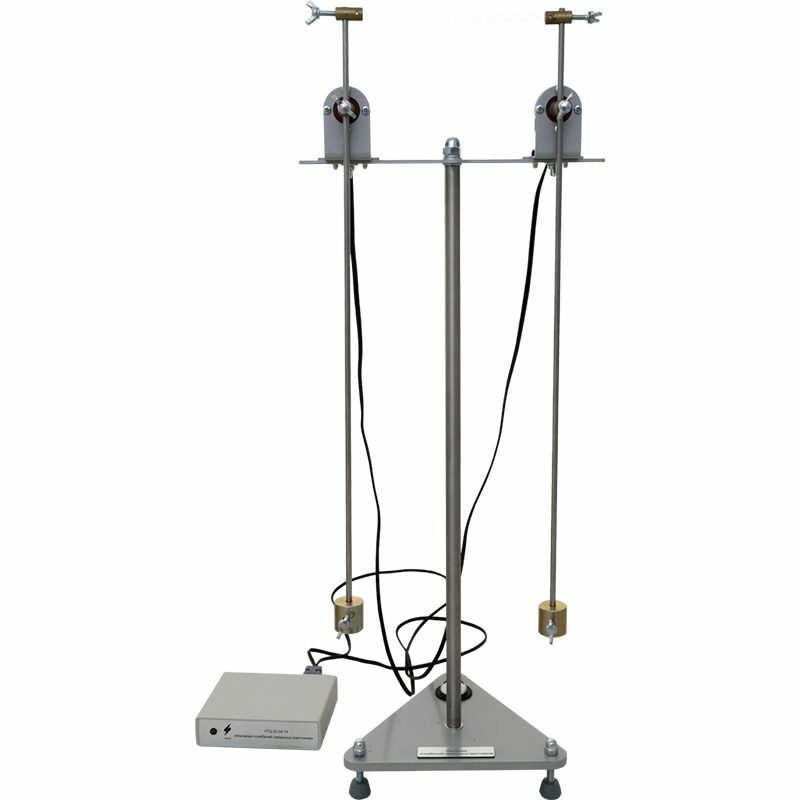 The training laboratory bench is designed for conducting labs in “Physics” and provides the study of damped oscillations of physically coupled pendulums. 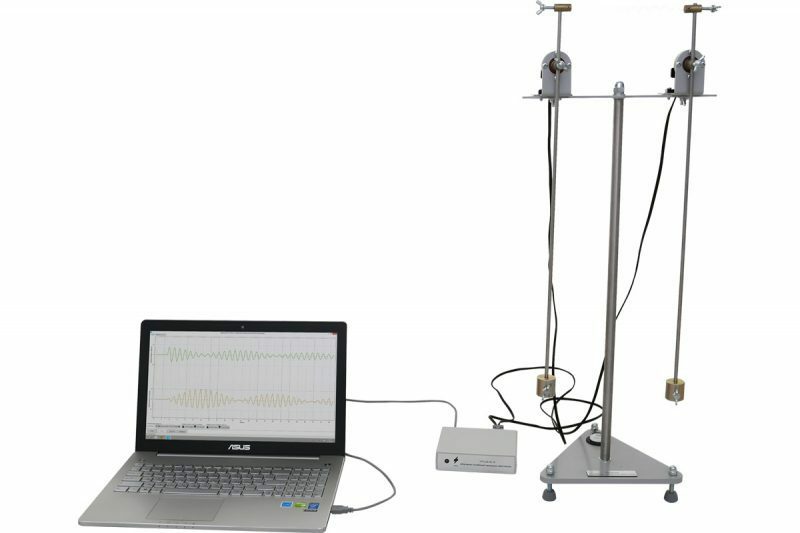 The training laboratory bench NTC-22.04.14 “Study of oscillations of coupled pendulums” is designed for conducting labs in “Physics” and provides the study of damped oscillations of physically coupled pendulums. The bench is a foundation on height-adjustable legs. A vertical rod is fastened on the foundation. A bracket with supports for physical pendulums is fastened at the upper end of the rod. The distance between the axes of the pendulums is adjustable. 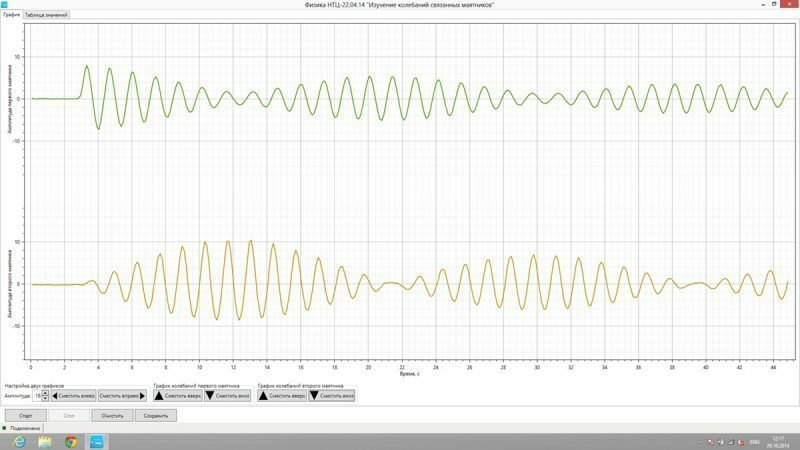 The angular deviation of the pendulum rod is detected by the oscillation sensor. A load is fixed along the rod at different distances from the axis, which allows the user to change the period of oscillation. The rod itself can change the point of rotation, changing thereby the moment of inertia. The mechanical connection between the pendulums is performed by a tension spring. To connect the unit to a PC, the electronic module is used. Power is supplied from the PC. 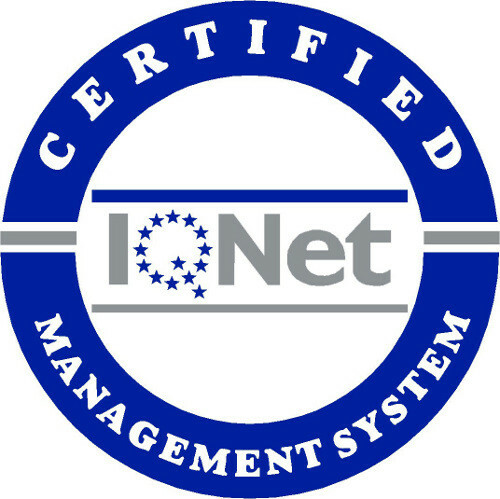 Software and a set of methodological and technical documentation intended for academic staff are supplemented to the laboratory bench.